Tech bloggers are warning about a scam that tricks a phone's caller ID to display a real Verizon Wireless tech support number, duping people into providing personal information to fraudsters. One phone number appears as "Technical Support" on some mobile devices, with a phone number that is a real Verizon Wireless support number, according to Droid-Life.com. An automated message informs the call recipient that they have received a reward of $54 and directs people to www.verizon54.com, with the message, "because at Verizon, we care about you." These kinds of scams, sometimes referred to as “spoofing,” are often aimed at consumers using any number of different well-known consumer companies names in an attempt to lure an unsuspecting victim, said Thomas Pica, a spokesman for Verizon Wireless. Pica said the company warns customers about mail or phone calls that seem to be from a trusted source and ask for account information or that a recipient click on a link containing malware that captures data when entered. 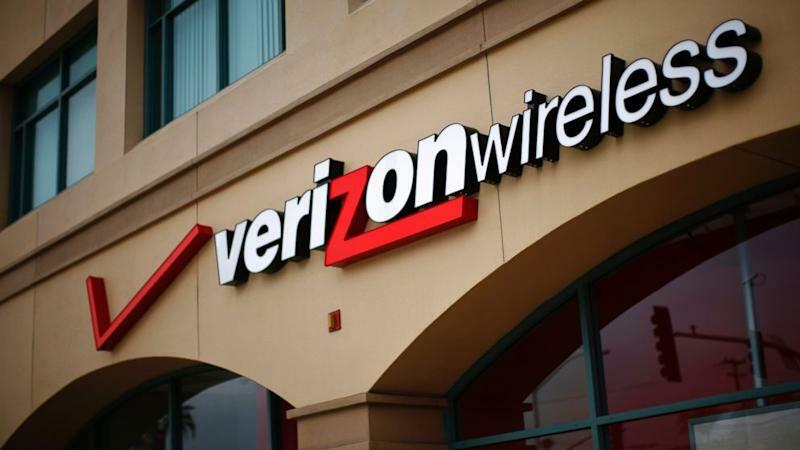 “Our advice to customers is to avoid clicking on any links in emails or any links other than the verizonwireless.com URL that they normally use to access our web site and their account information,” he said. If a customer accesses a bogus site, Verizon advises that they reset their passwords and notify the proper financial institutions if credit, debit or checking account information was shared. Verizon also provides general information on its website about “phishing” attempts such as these. Adam Levin, founder and chairman of IDentity Theft 911, urges caution in responding to tricky customer service communication. "Don't share because they tell you they care. You need to beware. They are not spreading the love," Levin said. Google's Chrome browser in fact has blocked that website, and instead provides the message, "Reported Phishing Website Ahead: Google Chrome has blocked access to www.verizon54.com. This website has been reported as a phishing website." Phishing websites and emails trick consumers into disclosing username and passwords and other personal information, typically with the purpose of stealing money or one's identity. Verizon Wireless did not respond to a request for comment by ABC News. Levin said consumers should be wary of communication from unknown sources, but even friends and family members' accounts can be hacked and used to communicate fraudulently. "If they are asking for money, contact your friend or family member by phone to verify the request," Levin said. 1. Check to see if the displayed link matches the underlying hyperlink. Place your cursor over the link in the email (but don't click!). Does the pop-up address match the link in email? Or did paypal.com suddenly become stealyouridentity.com? 2. Look for requests for sensitive personal information. Banks, merchants and other reputable institutions will never ask for your personal or account information by email, so never provide it. If you have any concerns, call the organization directly to verify the legitimacy of the communication. 3. Check for spelling or grammatical errors. Many of the phishers are from outside of the United States, so their grasp of the English language leaves something to be desired. If you see misspelled words, wrong use of pronouns and tenses, or other grammatical issues, there is a very good chance you are being phished. 4. Remember, if it is too good to be true, it probably is. If you receive a communication out of the blue saying that you won the lottery or are heir to a foreign fortune, you might want to think twice before claiming your reward. 5. What should you do you believe you're a victim? If you have clicked on or downloaded anything that might infect your system, then make sure you install or update anti-virus software and run a full scan of your system. If you have sent funds, make sure that you contact your financial institution immediately to report the situation. If you have reason to believe that any of your email or social media accounts are compromised, make sure you change the passwords immediately.